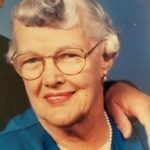 Added by Bill Bowman on October 25, 2018. 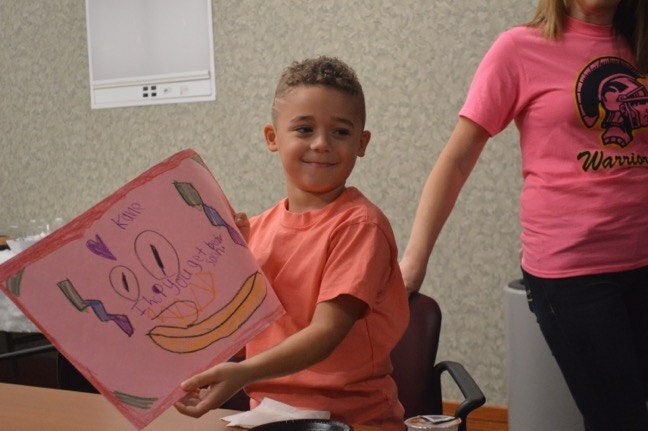 A group of MacAfee Road Elementary School students represented their classmates Oct. 25 when they delivered about 200 hand-made cards to patients at the St. Peter’s University Hospital’s breast cancer center. 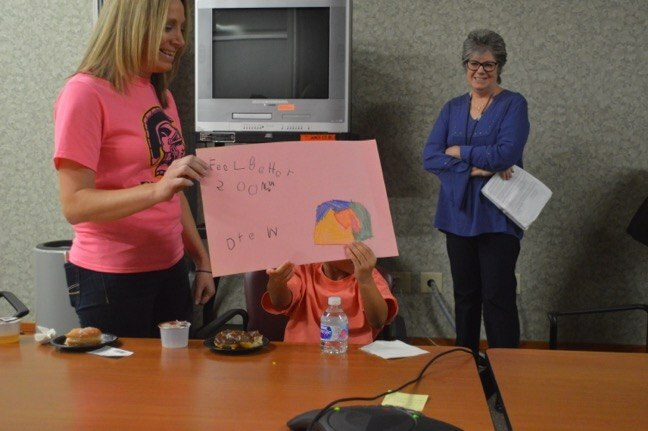 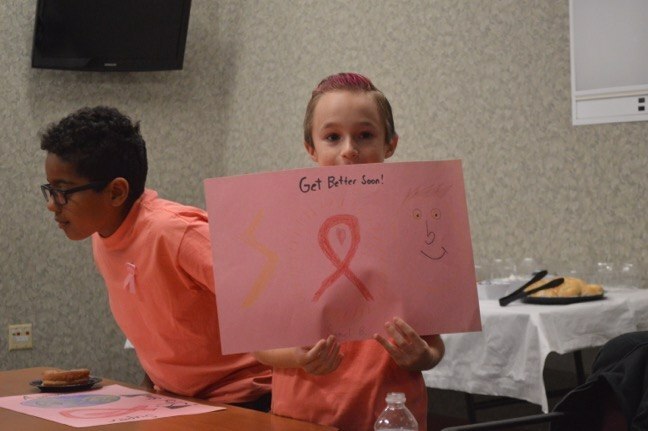 The students made the cards as part of the district’s observation of Breast Cancer Month. 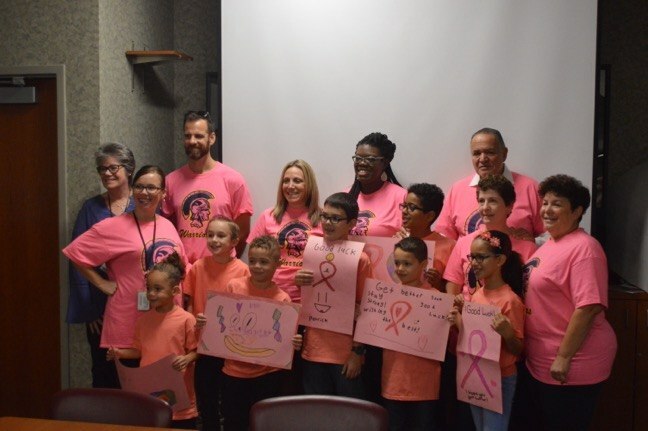 The visit was made possible by MacAfee school nurse Titilayo Ashiavor, who worked on the project with school gym teacher Alyson Samarel. 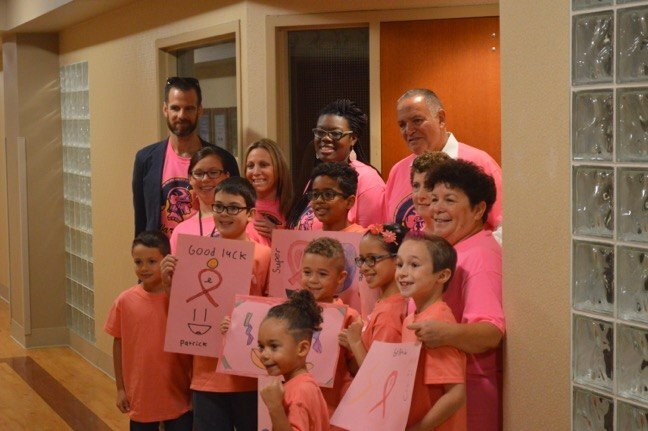 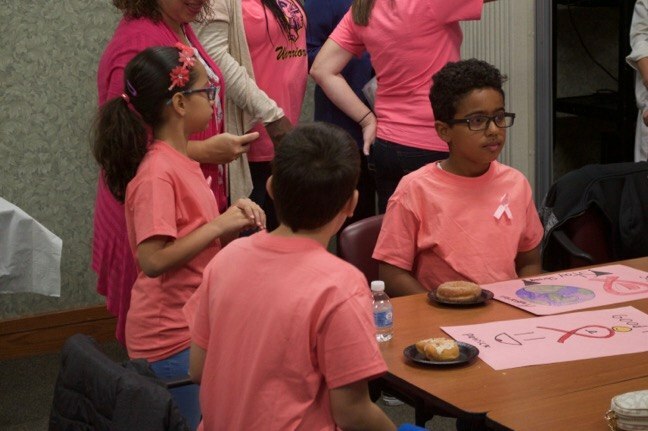 “I wanted to have an impact, not just wear a pink shirt, but actually have an impact on the breast cancer patients, so I figured the kids would get engaged and make somebody happy and smile,” Ashiavor said. 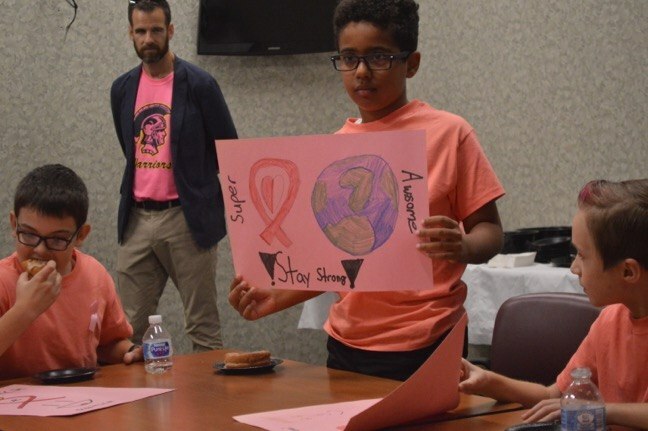 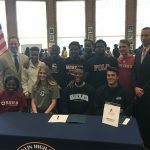 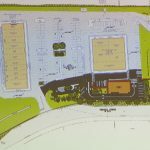 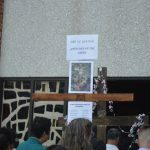 Samarel said the idea came about as part of the district’s wellness committee, which likes to have events tied to whatever is bing observed during a particular month. 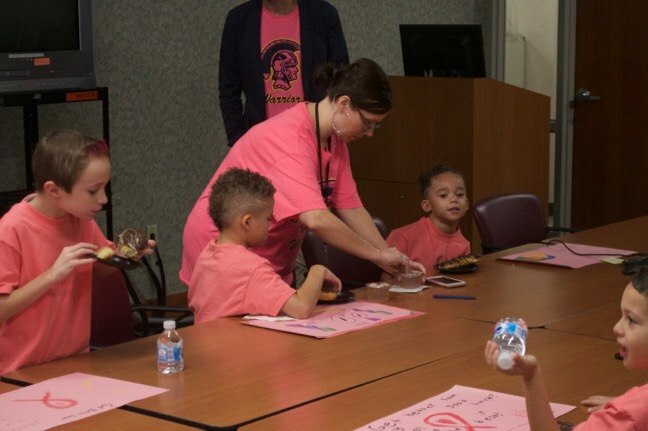 “This month is breast cancer, so TiTi reached out to the hospital to see if we could make cards for the breast cancer patients and deliver them,” she said. 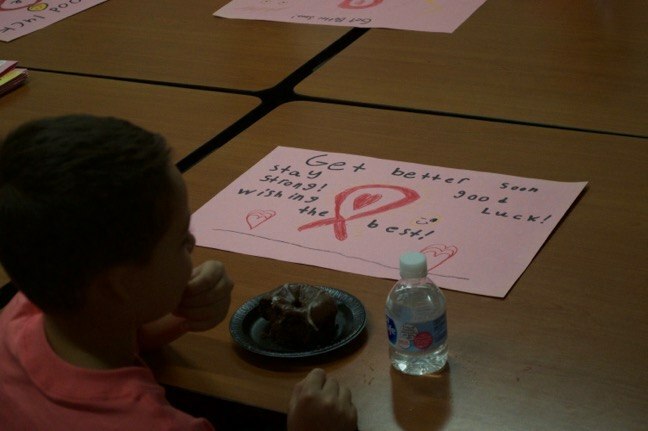 Students in every class made cards, Samarel said, which were then delivered to the school nurse’s office. 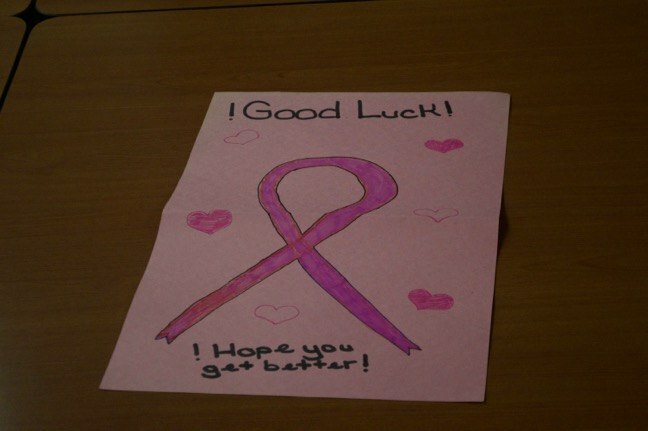 Some students made the cards on their own, while some classes collaborated on one card, she said. 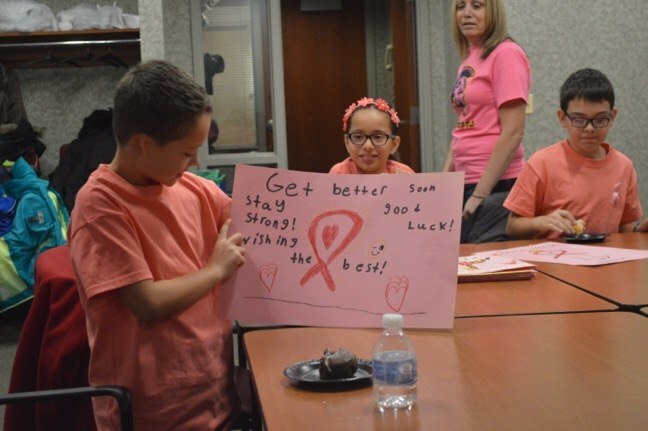 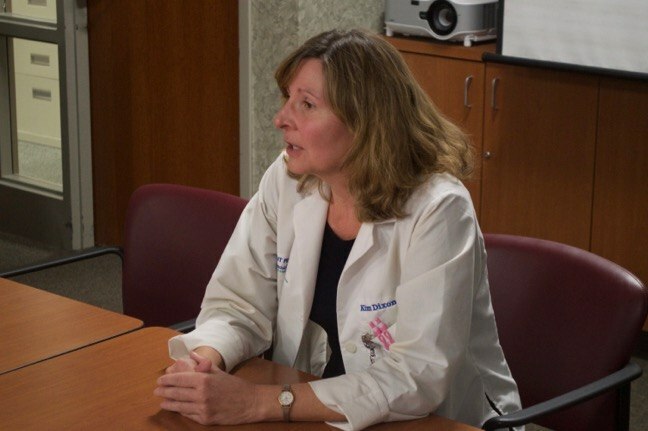 Dr. Kim Dixon, a breast specialist at the hospital, thanked the students for the cards.